MY FRIEND Carlos Cuano is a big snob when it comes to music, especially rock music. He hates pretentious bands and calls them copy cats. He despises revivals. He has a special hatred for Adam Lambert. But he has a list of bands he adores, and he knows the songs, the lyrics, the writers, and their life stories by heart. He recites the history of rock as if he did an academic dissertation on it. "But 'rock' is too vague a term," I told him once. "How do you define it?" He looked at me with serious eyes and said, pointing to his heart, "It's in here." THE ERA of the Two-Week Rotations has ended. I didn't like Rehab Medicine that much, a fact compounded by my ignorance in all things anatomical. I liked Orthopedics; the residents weren't just brawn. They had brains, too, but didn't have to brag about it. And they remembered our names, which made us feel human. 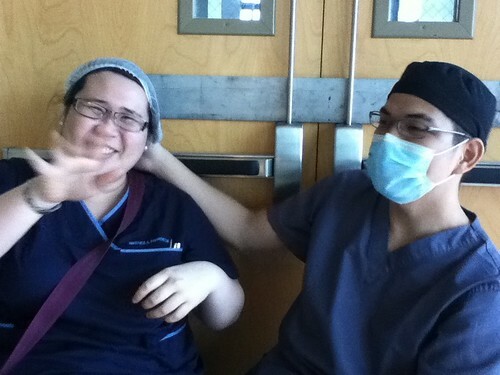 OLD FRIENDS Chubby Barrenechea and Casti Castillo share a light moment at the Ophtha OR. RUSSIA IS ONE of the places I'd like to visit someday, if God allows it.1 I want to photograph the Kremlin, walk around The Red Square, smell the vodka on people's breaths, and freeze myself to death in the cold of winter. 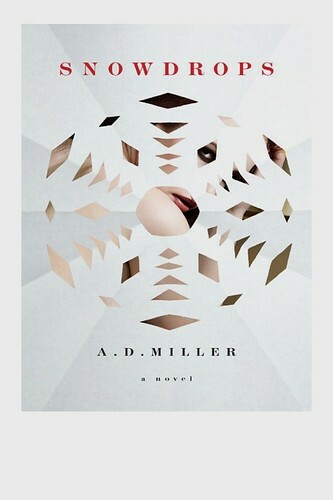 Not knowing what it was about, I randomly picked A. D. Miller's novel, Snowdrops, from the list of unread books I have. Well, guess what: snowdrop is a Moscow slang for a corpse that lies buried or hidden in the winter snows, emerging only in the thaw. An Englishman, Nick Platt, is narrating. He's an expat lawyer who has lived in Russia for four years. He's thirty-something, and he works for international banks that lend money to Russian businesses. The oil boom in the world's largest country is making a lot of people rich. Nick is pretty much a single man. He has lots of money, which sustains his rather decadent lifestyle, but he's lonely. One day, on the train, he meets a young woman named Masha, "wearing tight, tight jeans tucked into knee-high brown leather books, and a white blouse with one more button undone than there needed to be." Even if she's only 23 years old, she becomes the love of his life—and I think, even with all the deception, betrayal, and hurt that came with her, Nick still loved her in the end. I thought I had known what it meant, "torpe," a word I hear in every day parlance, in songs, on television, but I didn't take the effort to search for its actual meaning, the same way I didn't bother looking for the definition of "astig," "toma," or "chever" because, well, people just happen to know what they stand for. But my lexicographical laxity gave way to ignorance, and I had been mistaken all along. I still don't know a lot of things, apparently, and all these years I've misunderstood "torpe" entirely. I TURN to Paul's letter to the Philippians during the hard times. Every time I read Paul's encouragement to the persecuted church at the time—"Rejoice in the Lord always. Again I will say rejoice!" (Philippians 4:4)—I'm reminded of my shortsightedness, of how little I think of God and what He can do to rescue me from my situation. That almost always brings me to my knees in asking Him for forgiveness. I've not been feeling particularly well these past days. Many problems came up. I became anxious, worried, and helpless, so much so that I felt I was losing control of things. I became so caught up with my problems that I lost sleep and appetite. Has that ever happened to you? 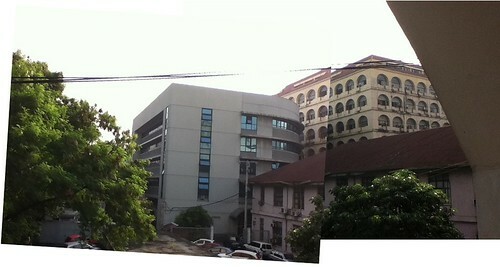 SPENT THE PAST two weeks at the Otorhinolaryngology (ORL) Ward. Last week I had to insert a nasogastric tube to a patient who was recently operated on, and I had a hard time. I didn't want to risk introducing trauma to the neck which could potentially open the stitches up. 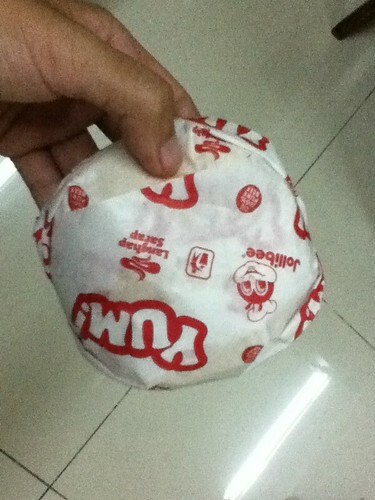 Despite my failure, the patient's daughter, a sweet Ilongga woman, approached me and gave me my first professional fee: a Jollibee Yum Burger. 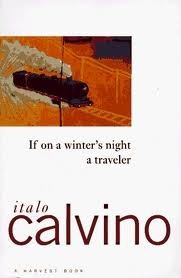 I FINISHED Italo Calvino's novel, If On A Winter's Night A Traveler, one of the best books I'll probably read this year, along the likes of McCarthy's Blood Meridian. To kill time I went to a coffee shop immediately after the Otorhinolaryngology Tumor Rounds where I had a cup of coffee and a pie, leafing through the book and wondering why it took me so long to finish it. The book is about the art, pleasure, and adventures of reading. I'm sharing some of my favorite lines. "Of course, the ideal position for reading is something you can never find." "How many years has it been since I could allow myself some disinterested reading? How many years has it been since I could abandon myself to a book written by another, with no relation to what I must write myself?" I THOUGHT OF going out of town. The mere idea of hurriedly packing my bags, buying a random ticket for a bus trip that would take me somewhere far, quiet, and peaceful excited me. Chances were that I wouldn't be able to do any of these, anyway, with my packed and unpredictable schedule. So when I heard that I had a couple of days off, I asked my brother if he had plans for the extended weekend. I told him I wanted to see white sand; I hadn't been to the beach yet since the year had started. And the sand had to be white, or else it wouldn't look too good in the photos. 'We can arrange that,' he said. I felt giddy.